I’m going to jump right in to this: Collingwood is unlike any other whisky I’ve tasted. A Canadian whisky (which explains excluding the “e” from whisky), Collingwood is distilled from corn, rye (a staple of Canadian whiskys) and barley, finished in oak barrels, then rested additionally with toasted maplewood staves. It must be this final step of the aging process that adds the uniqueness to Collingwood’s flavor profile. I’ve passed it around to friends who are whisky fans, and the results and preferences have been mixed. The nose of Collingwood is sweet, but the flavor and finish are unexpectedly sweet and sharp, and we gathered it’s the maplewood finish that’s contributing to that (oak is far-and-away the wood preference over maple when it comes to whisky). I felt it tasted like a quick-aged whisky, which usually involves smaller barrels or additional wood added to the aging process. Friends noted the unusual finish, too. What we did learn at about the halfway point of the bottle, and after several weeks of trying it out, is that Collingwood seems to go better in cocktails than as a straight sipper. The flavor profile never quite delivered with the whisky-drinkers in my camp, but a Manhattan, Old Fashioned and Whisky Sour with Collingwood were some tasty cocktails that tended to be incrementally sweeter than their bourbon or rye counterparts. The Sour in particular seemed a great fit for this whisky. Collingwood retails for about $30 per bottle. This entry was posted in reviews, Uncategorized, whiskey and tagged canadian whiskey, canadian whisky, collingwood, collingwood canadian, collingwood whiskey, Collingwood Whisky, maple finished whiskey on September 12, 2016 by Greg. This entry was posted in Uncategorized on July 15, 2016 by Greg. Every year, Albuquerque the Magazine opens up a site to vote for the “Best of the City” in Albuquerque and there is one category that I really covet your votes for: best blogger. Click here to vote (not limited to Albuquerque residents). THANK YOU for your support! This entry was posted in Uncategorized and tagged abq the mag, abq the magazine, albueurque best of the city, albuquerque the magazine, best of the city on June 13, 2016 by Greg. Vote Simple Cocktails ‘Best of the City’! In 2013, Simple Cocktails was voted a top-5 blogger for in the Albuquerque the Magazine ‘Best of the City’ poll. This year, we would love to win it, but there are only 4 days left to vote. Would you cast a vote for Simple Cocktails as Best Blogger (under the ‘people’ category)? Anyone can vote, but you can only vote once. Thank you! This entry was posted in Uncategorized and tagged albuquerque, albuquerque the magazine, best of the city on July 28, 2014 by Greg. 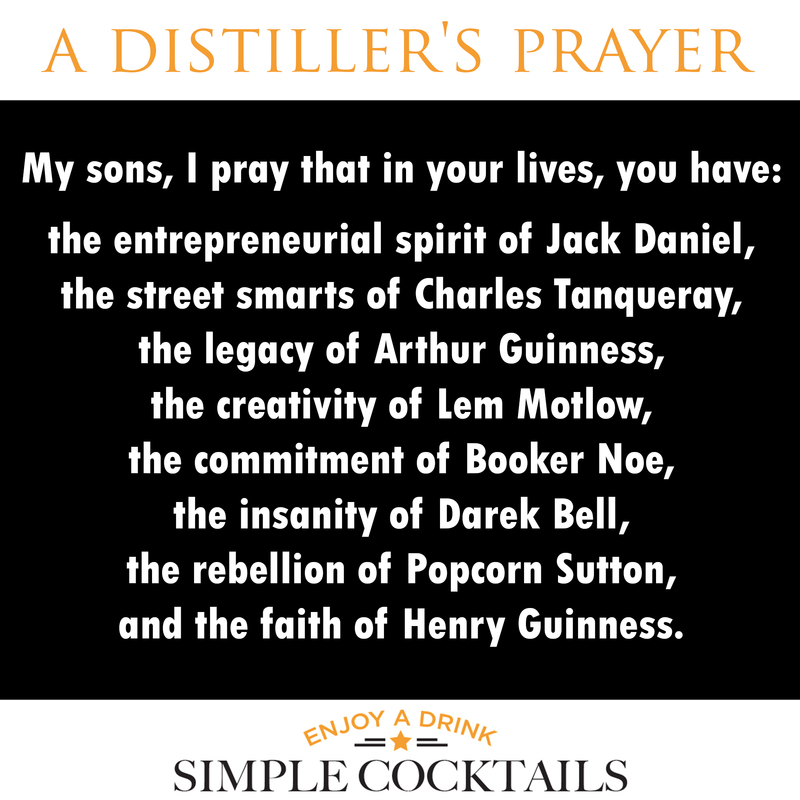 This entry was posted in Uncategorized and tagged a distillers prayer, distillers prayer, liquor prayer, simple cocktails distillers prayer, simple cocktails prayer on November 5, 2013 by Greg.